SHIPPING: TRUCK SHIPMENT ONLY TO BILLING ADDRESS; photo ID AND signature required for delivery. APPLICATIONS: Designed for daily use by roofing & construction contractors. THIS UNIT CAN RUN TWO LEISTER VARIMATS + HAND WELDERS. CALL US FOR THIS CONFIGURATION. 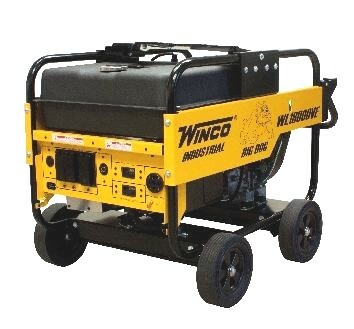 FEATURES: The Winco WL1200HE has the features contractors need on the job site. 12V U1L-6 Heavy Duty (CCA 330) Generator Battery / Garden Tractor Battery. Fits 6-12 kw Electric Start Generators. Price/Each. INCLUDES $10 CORE CHARGE.